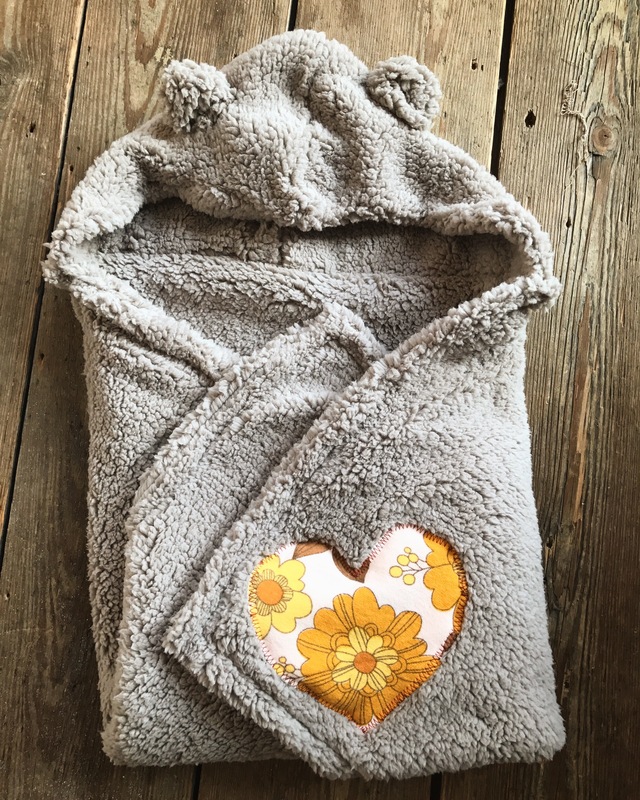 This is THE Lovely Lane wrap blanket! Production takes about 2 weeks. Choose your own heart application (color and fabric). 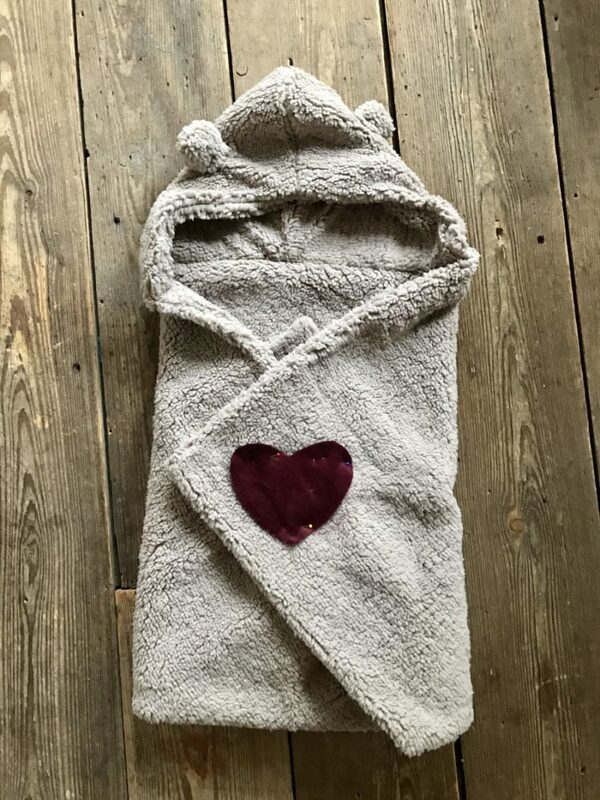 Your baby is wrapped in the cradle, in the box, in your arms, in the babycarriage outside.. your baby is wrapped in the softest fabric and feels cosy and warm. 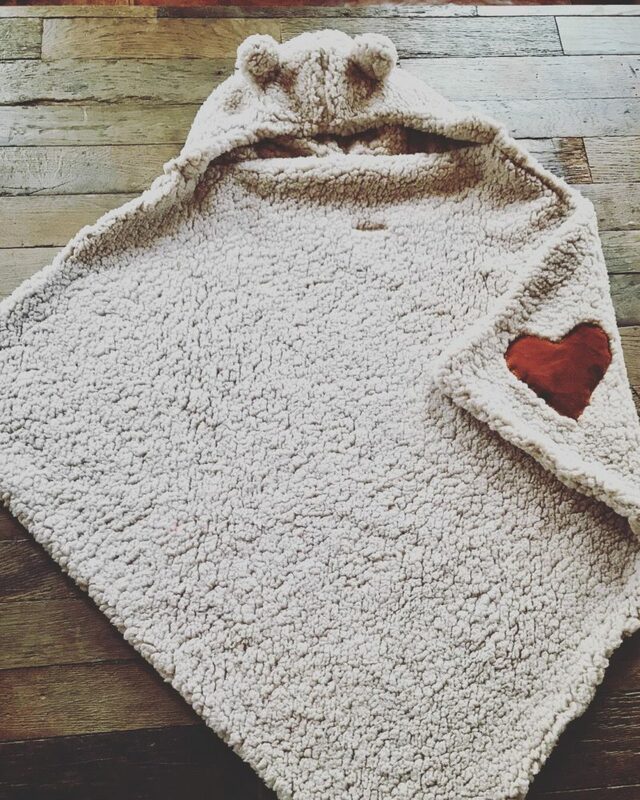 You can choose the fabric and color of the heart yourself (we e-mail you after the order is made). 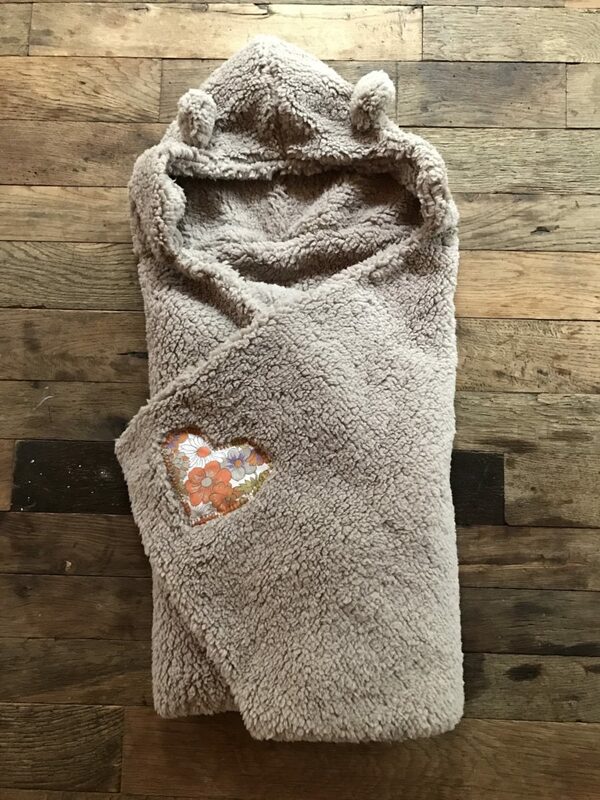 This babywrap is made from very soft double fabric. When unfolded it measures about 80×80 cm.